Daniel Brannigan was the son of John and Bridget Brannigan. Daniel was born in Clogher about 1895. 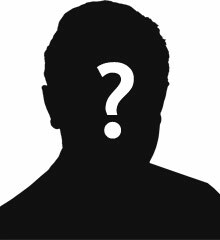 John Brannigan was a farm labourer. Private Daniel Brannigan was serving with the 1st Battalion of the Royal Dublin Fusiliers when he was killed in action on the Somme on 21st July 1916. Daniel was 21 years old. 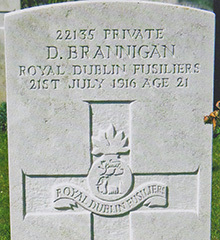 The CWGC records Daniel as the son of Bridget Brannigan, of Altanarva, Corbo, Clogher, Co. Tyrone.